Garrett Billings and Stephen Leblanc both exploded into the league in 2010. Leblanc beat out Billings for the Rookie of the Year award, and each beat the other by one point over their first two seasons. But in 2012, Billings took a giant leap forward, recording 114 points and leaving Leblanc’s 65 in the dust. He finished second in league scoring in both 2012 and 2013, and third in 2014, and was an also a top MVP candidate in all of those seasons. Near the end of 2014, however, he injured his knee (in a game in Vancouver, ironically enough) and missed the rest of the season and the playoffs. Nobody knew at the time that it was the last game for Billings in a Rock uniform. This bummed me out, since I’ve been a big Billings fan since 2010. I have a Rock shirt with his name on it, and I even used a picture of him as the icon for this blog on Facebook. But once he was healthy again, he didn’t return to the Rock lineup. It soon became clear that he and the Rock were involved in contract negotiations that weren’t going well. I won’t go over all the details here, mainly since we don’t know them all, but during the 2015 season Billings was traded to New England for Kevin Crowley (who was later flipped back to New England for Dan Lintner). 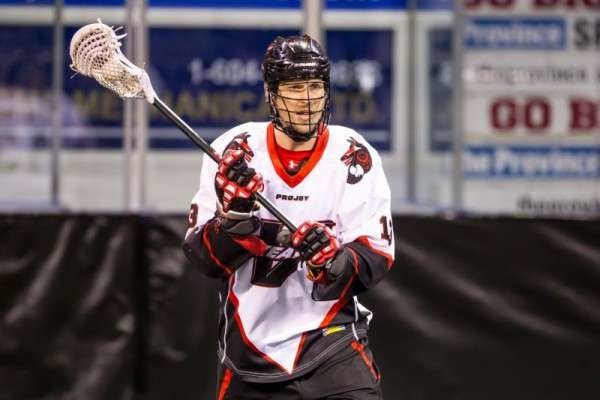 He picked up 36 points in 8 games for the Black Wolves and was later dealt to the Stealth in what ended up being a three-way deal that sent Tyler Digby to Calgary and Shawn Evans to New England. As a Langley native, Billings playing for Vancouver sounds like a dream for both him and the team. He played in 11 games with the Stealth in 2016 and picked up 60 points, a pace that would have netted him 98 over 18 games. But something happened between Billings and the Stealth in the offseason or early 2017, and nobody knows what it was, or at least I don’t. Billings started the season on the IR but once healthy, only played in four games. He was a healthy scratch for six games and once he was added to the holdout list at the end of March, the Garrett Billings era in Vancouver came to a premature end. It’s odd that one of the best players in the league from 2010 through 2014 is on the Stealth roster but doesn’t figure in to their plans. It’s unlikely he’ll suit up for the Stealth again and I hope he’s amenable to travelling since home games for him will be somewhere else next year. I’ve read comments that he’s actually Athan Iannucci’d himself right out of the league – clearly nobody was breaking down Doug Locker’s door last season to get him. I hope that’s not true but we’ll see what the post-season brings. Trade speculation is always a crapshoot but just for fun, let’s have a look at where Billings might end up if he’s traded. We’ll just think about two-team trades that only involve Billings, otherwise there are just too many possibilities. I imagine the bridges have been burned with respect to the Rock, and with Hickey, Schreiber, Lintner, Beirnes, and Hellyer, they’re packed with righties anyway. Could he fit in on the right side with the Bandits? That would allow them to put Mark Steenhuis back on transition, though they’re not hurting in the transition department anyway so that’s not really filling a need. Rochester is a possibility, particularly considering their offensive woes this season. They have three first-round draft picks this fall and still have their first round picks in 2018 and 2019, so that’s a possibility for what heads west. Billings may not be what he once was (though his 2016 numbers indicate that he could be) but assuming he’s not still injured in some way, I think he’s still worth a first-round pick. Georgia? Their offense is just fine, thanks. The Black Wolves have Evans, Crowley, and Kyle Buchanan on the right side so I’m not sure adding Billings to that list makes sense but replacing one of those guys might. Kevin Crowley is also from BC so that’s a possibility (could we have a second “Billings to New England for Crowley” deal?) but (a) I believe Crowley lives on the east coast now, and (b) the Stealth don’t need Billings on the right side, so they likely don’t need Crowley on the right side either. Call that a probably not. The Rush and Mammoth are fine on the right side so the only possibility left is Calgary. They only used three righties in 2017: Dickson, Berg, and Digby. The Roughnecks missed the playoffs in 2017; could they use a guy like Billings to shake things up? Sure they could. 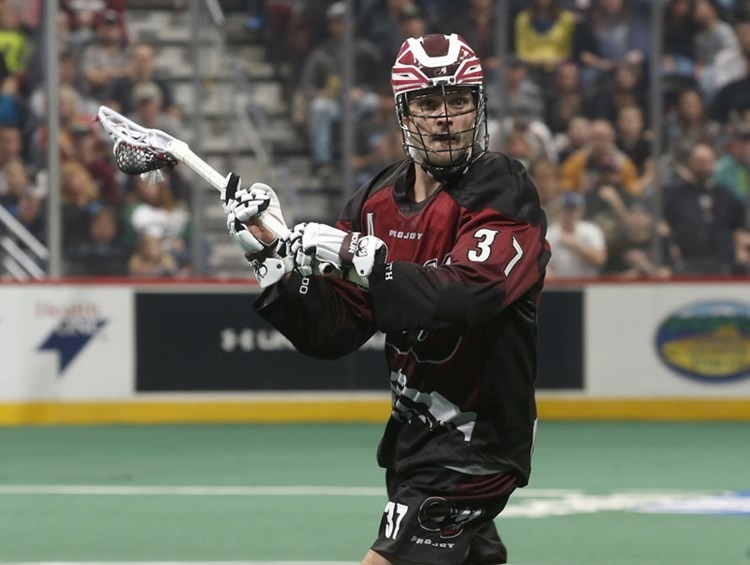 If the Roughnecks don’t want to give up a player, they have one first round draft pick this year, plus two in each of 2018 and 2019. There are always factors involved in trades that we don’t know about. But if I had to guess, I’d say the Roughnecks sounds like the most likely target. Interesting that he and Digby, who were once traded for each other, would end up as teammates in that scenario. It’s unfortunate that things didn’t work out in Vancouver, but I hope Billings returns to the NLL in 2018 as effective as ever. Maybe I’m biased as a Billings fan as well as a Rock fan who watched him make significant contributions over the years, including helping to bring the 2011 Championship to Toronto, but similar to Cody Jamieson, I think the league is better with Garrett Billings in it. It started off so promising. The Rock and Swarm played each other twice this season. Each team was 1-1 and both games went to OT, so we knew the teams were pretty evenly matched. So when the Rock didn’t allow a goal to the strongest offense in the league until six minutes into the second quarter, it seemed like the Rock’s ability to handle the Swarm offense was going to continue. They only scored one goal themselves in the first quarter, but when they took a 4-1 lead in the second quarter, it still looked pretty good. And then the wheels kind of slowly fell off. Back in 2013, I wrote an article about faceoff dominance and whether it helps you win games. The conclusion was that it does but only slightly – 56% of teams that won more than half of the faceoffs in a game also won the game. But that article was only using data from the 2012 season so the sample size was small. I now have faceoff data for almost every game from 2010-2017, so let’s revisit this. The Rock hosted the New England Black Wolves on Saturday night for the right to lose to play the Georgia Swarm in the division finals. In the lowest-attended Rock home game ever, the Rock fought off the strong Black Wolves attack in the first quarter and turned a close game into a blowout. Ten things that happened this past season that I did not see coming. No particular order because I’m lazy. 1. Tom Schreiber. Would he be a very good player? Probably. Would he score a bunch of goals? Probably. Would he lead the Rock in scoring and finish in the top 10 in the league? Well, that’s overly optimistic, don’t you think? I don’t have an official vote for the NLL awards, but I do vote for the IL Indoor staff awards and for Addicted to Lacrosse as well. Here are my top 5 picks (top 3 for the Bartley and GM awards) for each award for 2017. I didn’t give descriptions here for why I chose who I chose but you will see those next week on the IL Indoor article. As always, I also revisited my pre-season predictions to see how I did. Final standings: In the east I had New England first, followed by Buffalo, Georgia, Toronto, and Rochester. Oh-for-five. In the west, Saskatchewan, then Colorado, Calgary, and Vancouver. I got the Rush right and that’s it. Original pick: Mark Matthews. Always a good choice, but once again for Matthews, second place. Original pick: Karsen Leung. Leung didn’t even play in 2017, so that’d be a no. Original pick: Jamie Dawick or Steve Dietrich.